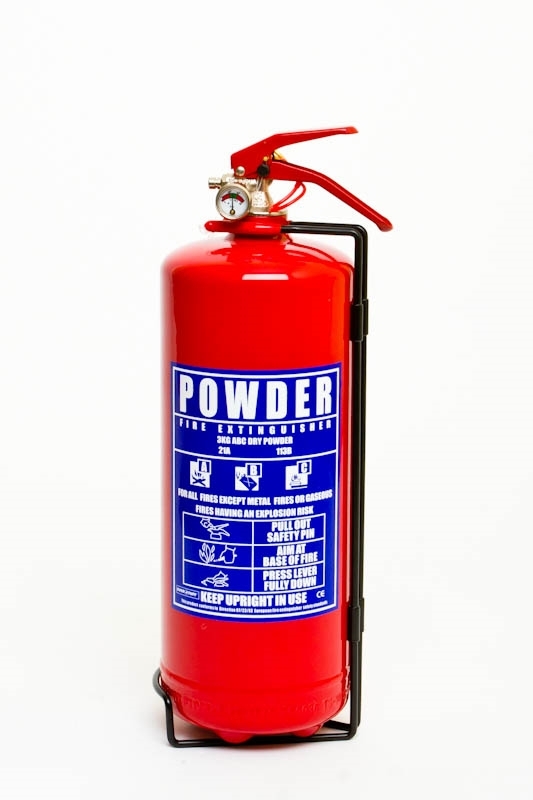 The 2kg ABC Dry Powder extinguisher is a multi-purpose extinguisher ideal for domestic use and suitable on (Class A, B and C) fires involving combustible solids, flammable liquids and gases. The highly-rated extinguishant is Mono-Ammonium Phosphate, which is a fine powder that can knock down flames quickly and protect users against the radiant heat from a fire. Whilst it is safe for use on electrical fires, it should be noted that it can cause contamination of sensitive equipment / environments and corrosion of electrical components if not meticulously cleaned. The ABC Dry Powder extinguisher is also very useful in outdoor areas and vehicles, where freezing temperatures can adversely affect liquid-based extinguishers. Manufactured in accordance with EN3, our 2kg ABC dry powder extinguisher also carries the CE mark and is independently tested to BSI (British Standards Institution).